When I started in the Texas Executive MBA program (EMBA) last August, I fully expected life as I knew it to end. I scheduled a couple of relaxing trips — a beach vacation over Fourth of July, and a fly fishing adventure with my husband on the Salmon River in Idaho. I got my hair cut. I read Vogue and took a few spa days. I scaled back my involvement in non-priority projects. By the time August rolled around and I buttoned up my business suit for the first seminar, I was ready to kiss my “old,” pre-MBA life goodbye. 1) Your support network goes far beyond you. Whether you’re married, single, or “it’s complicated,” you’ll quickly find that you need more than just the power of you to get through this program. For those who have significant others, it’s imperative that he or she be on board with your decision — they will be your sounding board and your soft place to land. But don’t think you have to have someone waiting for you with dinner on the stove to tackle an MBA. This program expands your network — intentionally so — both professionally and personally. Between your study group, your classmates at large, and your professors, you begin to develop a network that helps you answer some of the most challenging questions in your life, whether they are related to career advice, personal development, or schoolwork. Additionally, the women in the class ahead of me have done a great job at building relationships with the women in my class. I think I can safely speak for the ladies of the Class of 2016 when I say that we’re all looking forward to paying it forward to incoming female students next year. 2) You become a decision-making rockstar. How often do you hum and haw over whether to attend a meeting or bring an issue to your boss? How many times a day do you click on the same email trying to decide how to respond? Dr. John Burrows, the EMBA program director, and one of your first-semester professors, likes to say “Begin with the end in mind.” While at first this concept can be difficult to grasp, once you get the hang of it, you start applying it to everything in your life. When a decision needs to be made, you are able to arrive at an effective, prompt, and well-supported conclusion. Not only that, but you begin to collect tools and strategies that help you dive into and analyze these challenging situations with confidence. Being in this program so quickly cuts through the chaff in your life, that you just might be surprised by how much extra time it frees up (which, of course, leaves more time for studying!). 3) You learn how to prioritize the right things, not all the things. One of the most important parts of the program that you won’t find in any formal curriculum is that it teaches you to recognize when and how to take care of your personal life. This isn’t just something that MBAs need to learn — any executive looking to go the distance must get a handle on this lesson at some point. Need to get some exercise? There’s no shortage of running groups or cycling teams to join (or start your own!). If you have kids, be there for them first. Your group will support you (and demand cute photos of your kids as repayment!). A few of us in the Class of 2016 have made a point to have “Manicure Mondays” every few months when we get our nails done together. It’s a simple thing but it allows us to debate cases or talk through tough quantitative concepts while doing something special and relaxing for ourselves. During my first semester, my husband and I bought a house and decided to renovate our kitchen ourselves. Did I often think I needed to be reading case studies while I knocked dry wall down off the walls? Absolutely. Did I finish reading those cases by the time class rolled around? Of course. Life has a way of expanding and contracting to your priorities. It’s up to you to ensure you put the right priorities in your life. 4) You learn how to maximize your unique strengths. Channeling your strengths as a leader goes far beyond focusing on just doing what you’re good at. In fact, this program challenges you to step outside of your comfort zone and to wrestle with questions you might previously have avoided. This is where you learn how to channel your natural talents, as you start to realize — with the guidance of great professors and supportive classmates — that there are unique aspects about you that make you a unique leader. These are the stories you come into the program with: a former career as a professional athlete, or a struggle to overcome a fear of public speaking. These bits and pieces of your history are often overlooked — and sometimes even hidden from ourselves and others. But the EMBA program encourages you to really explore what parts of those stories you can leverage to make the world a better place. How does this ultimately help you have it all? You have time to reflect on and ensure that an important part of yourself is not left behind as you grow and change as a leader. 5) You can find self-fulfillment. 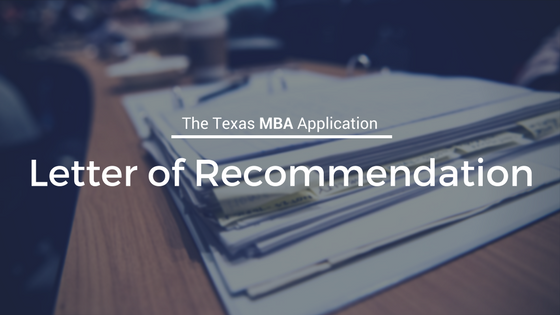 Make sure an MBA isn’t just another item on the list of what others expect from you. If you’re true to yourself in this program, you’ll do just fine.